Finding a role within an already existing musical partnership can be problematic. When the relationship has lasted most of three decades it’s that much riskier. Yet as the nine instant compositions on this CD demonstrate, Catalan pianist Augustí Fernández creates no fissure when he performs with the long-standing British trio of saxophonist Evan Parker, bassist Barry Guy and percussionist Paul Lytton. It helps that the pianist, along with Lytton, is a member of extended Guy and Parker ensembles. Yet he’s such an accomplished stylist, whose collaborators range from Free Jazz bassist William Parker to New music flautist Jane Rigler, that his input enhances the tracks so that each part of the paradigm seems indivisible. Parker’s serpentine trilling on the aptly-titled “Open Systems”, for instance, is backed Guy’s by blunt strumming and Fernández’s solitary key pressure, as if both are utilizing the same string set. As the pointillist mixture accelerates, impelled by Lytton’s chain-rattling and pitter-pattering skins, the pianist’s metronomic lilt allows for a quicker pace, but without losing any of the tune’s subtleties. Similarly, Lytton could be whacking steel pans as Parker vibrates constricted timbres around his tongue on the polyphonic “This One is for Kowald”, but until identifiable piano cadences kick in, the spiccato shrills heard could be bass string strokes, mouthpiece whistles or internal piano strings stopping. Probably the clearest indication of Fernández’s simpatico internalizing of the trio’s improvisational ethic is that on the four tracks where he works in duo or trio combinations, it’s as if the quartet textures can still be heard. Especially burrowing within the piano’s bowls, astoundingly the resulting stuck and stopped overtones nearly compensate for Lytton or Guy’s absence. 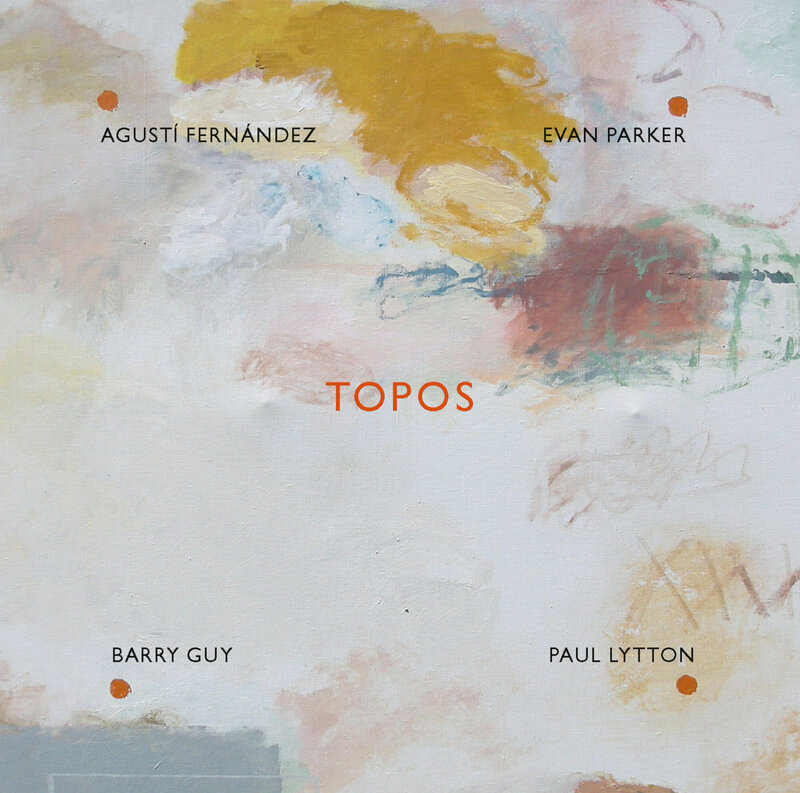 Nine pieces of impulsive, on-the-fly sounds from a core trio of British legends: the saxophonist Evan Parker, improv/contemporary classical bassist Barry Guy and drummer Paul Lytton - joined by Agusti Fernandez, the most accomplished Catalan jazz pianist since the postbopper Tete Montoliu. Fernandez joined the long-suspended British trio in Barcelona last year to add a seamless Cecil Taylor-like sound-stream to fast tailchasers such as Coalescence, darkly sinister or nimbly banjo-like plucked-strings noises here and there, and scary, door-slam chords. Pieces such as Still Listening, true to its title, are long silences punctuated by bursts of activity. There are extended outings for the endlessly resourceful Guy (who both dramatises the music and hugely broadens the sound stage) and fast, chattering pieces, with Fernandez's and Parker's high, repeating figures doubling each other over Lytton's taut, tambourine-like drumming. It's full of selfless expertise, and (for an improv set) remarkably full of contrasts. keys and the strings inside the instrument. responses to the nuances of the changing textures. Tasten und Saiten im Flügel inspiriert sind.